This year I completed a project that I have been meaning to do for a while now – adding a metal roof. Not a trivial thing to do on a semi-detached house, because of the obvious issues with the division of the roof (made more challenging because more than 20 years ago someone put in a cathedral ceiling next door, and must have insulated from the outside, making that roof 2″ higher). I had been considering this for a while, as our “30-year” architectural shingles reached 12-odd years old. Now metal roofs, either aluminum or steel aren’t as popular in North America yet, for whatever reason. I always find it odd that people buy brand new, $2 million houses, that have crappy cheap asphalt shingle roofs on them. Make it sustainable and add a metal roof. But cities are as much at fault as homeowners, they could require greener more sustainable roofing. Metal roof on the front of the house. So metal roofs do cost more. I likely paid nearly twice what I did 12 years ago for the asphalt roof, but it will last probably 50 years. It also doesn’t deal with the flat roof at the back of my house, but honestly 3-layer flat roof technology is pretty good these days. There are of course a bunch of different metal roofing technologies, some use strapping, others attach directly to the existing roof (I chose the later). I settled on an aluminum roof made by Classic Products Roofing Systems. These come as long panels, 12″×60″, and they lock into one another. 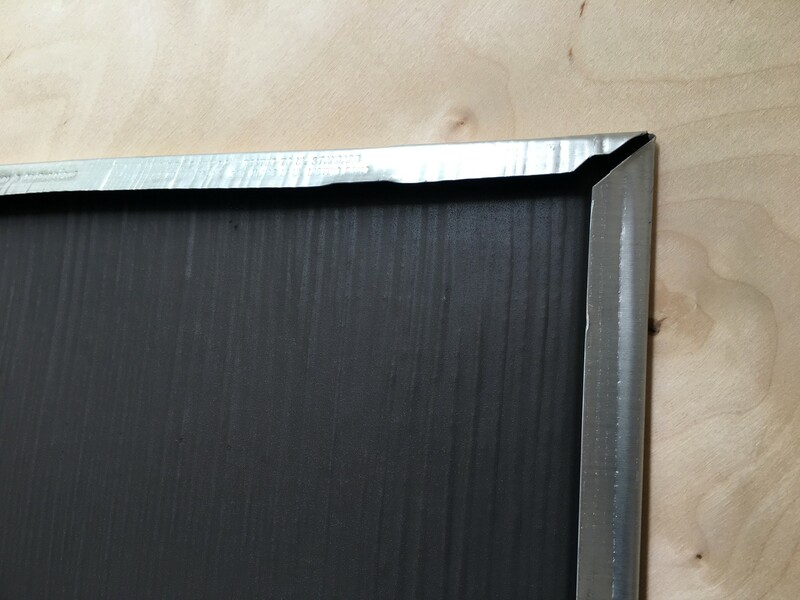 Locking edges on the top and side of the metal panel. 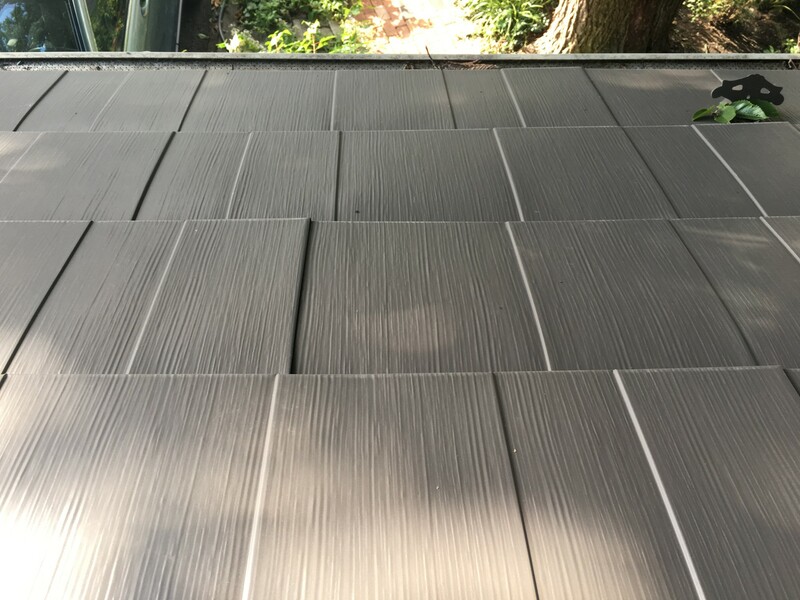 Asphalt shingles first appeared in north America in 1901, and gained a foothold in the 1920s in a market dominated by wooden shingles (wood = cheap roofing). The use of fire-clay tiles or metal roofs never really caught on in Canada, although they are extensively used in cold climates such as Norway, and Iceland. They are popular in cottage country, probably because people realize they are less maintenance than an asphalt roof. Asphalt roofs are also very environmentally unfriendly, although there are now some companies recycling them.